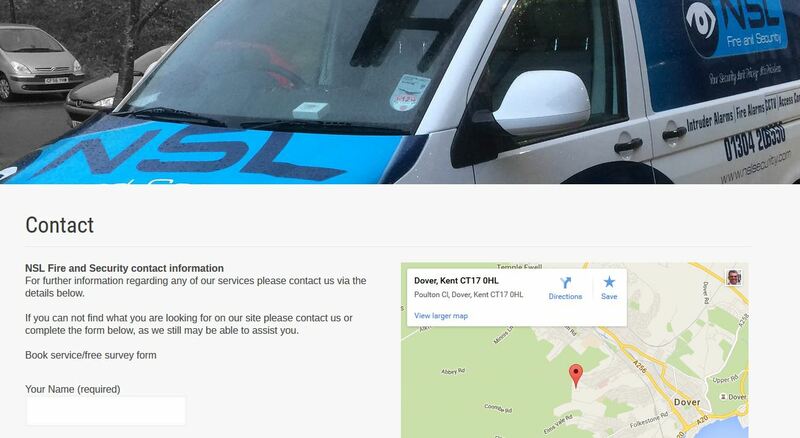 Long term Dover security company NSL have been keeping an eye on our monthly newsletters and their website performance since Google changed its priorities to ‘mobile friendly’. Having digested the fact that Google now prioritises ‘mobile friendly’ web pages plus over 50% of their searches come from mobile devices, owner Mark Hughes decided to commission a new website, but that wasn’t the only influence. NSL also use Harbour Print in Dover for their van signage (who are also our clients). Harbour Print had a recent WordPress upgrade with stunning results, see case study and client feedback. The comments Harbour Print made convinced NSL to go for a new website. NSL are now future proof with their website and as soon as we can get to them we will train the staff up on how to use the new WordPress content management system (usually about 30 min).